Sometimes that idea gets blurry. As entrepreneurs, we get caught up in the day-to-day tasks of running our business and we forget to focus on the idea that powers it all. My mission at Ideas Focused is to offer a fresh perspective on your company’s marketing, sales, and technology with an emphasis on your bottom line. I provide business consultation, Internet marketing, and website development services to my valued clients at affordable prices. Start with a 90-minute consultation to get your ideas focused. 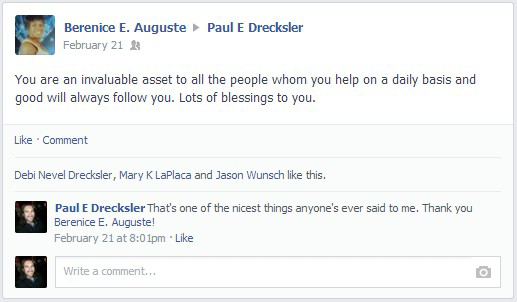 Hi, I’m Paul Drecksler. I started Ideas Focused to help business owners make sense of the Internet technology that powers their businesses. I am here to help you develop a powerful online presence and a 21st century entrepreneurial mindset. I am your personal guide to business technology and online marketing. I promise that working together will provide you satisfactory results. In fact, I guarantee it. A little about me.. I treat my clients like family. I challenge what you say and how you think. I get personal with you because I care. Being an entrepreneur is my livelihood, hobby, and profession all in one. I believe that being a business owner is a way of life, and not a 9-5 gig. I genuinely care about your success. I’m reliable and trustworthy. My family taught me the value of hard work and ethics. I’m easy to get along with. If those qualities are important to you, then let’s work together. Every new client begins with a 90-minute consultation to get your ideas focused. Begin with a 90-minute consultation to get your ideas focused. Click here to leave your own review. "It can't be done!" That was what my whole technology team was telling me. A friend suggested that I call Paul. It was done before I went to sleep that night. Paul was a solutions guy. I love that. I will be reaching out to Paul to collaborate on projects in the future. He was polite, supportive and has a can-do attitude. The kind of people I like to surround myself with. We found Paul through his helpful presence in social media, and approached him for a simple website redesign. His process dove into what we do as a company much more than we'd expected, and we quickly came to appreciate his big-picture approach to marketing our product through that website and beyond. He's thoroughly communicative and always eager to take the next step, to work on building what we already have into something better. He conducts his business as a partner on your team, not just a service he's providing, and brings a welcome enthusiasm to everything we do. I found Paul online several years ago by chance. I stumbled upon his adventures blog and decided to contact him. My husband and I needed to make updates to our business website and we took a chance on Paul and we've been working with him ever since. Paul is extremely professional and thorough. He provides suggestions, a timeline, and updates on what he is working on. He is quick to respond to emails as well as last minute requests. At first, we were nervous about hiring someone online, but we can honestly now say that we feel at ease with Paul and we look forward to meeting him in person some day! Paul was referred to DC Autocraft earlier this year as the decision was made to rethink and re-vamp our company website. Paul was introduced to us simply as “a guy who knows what he is doing” when it comes to building a website. Since we are in the auto industry, not the web or IT world, we thought that this means he is capable of building a really good, fancy and classy website. Within our first hour speaking to Paul, it was obvious that his capabilities, imagination and thought process far exceeded a good fancy & classy website…as a company, we became excited about our online possibilities for the first time. We spent our time with Paul discussing the normal objectives, design, targeted clientele, etc, And that’s what we expected…but it was just the beginning. Where Paul really stood out from others is his genuine interest in the business, the business process, and what tangible deliverables are that make us a better company. Once Paul understood what we do, how we do it and why we do it he was able to promptly deliver a beautiful and structured marketing tool that has helped our online presence tremendously. 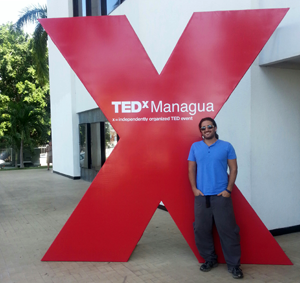 I had a consulting session recently with Paul regarding my new startup in Nicaragua. His fresh perspective and outside point of view gave me great insight for things I need to work on. He helped me focus on my main priorities and my process. I have been integrating his recommendations into my work and it has increased my motivation. I definitely recommend him for business consulting. He is very smart, takes the time to think about things, and has a great way of articulating his advice to you. Thank you Paul! I thoroughly enjoyed working with Paul. He was extremely responsive; knew his business; was creative in his solutions; and achieved the results we were looking for. I especially appreciated his attentiveness in learning and crafting our strategic objectives before the tactical steps were even explored. That approach gave us an efficient and targeted result. Thank you for the coaching session, helping me reconnect with my purpose and mission. Your collaborative, resourceful, authentically-cheerleading perspective helped me shed 1) a sense of overwhelm, 2) the sense of identity entangled with my day job. I adore your examples of other businesses that are simple and yet functional, your suggestions of free resources, and encouraging me to start with a small, tangible blog that can evolve. I admire your intuition and your personable nature. I look forward to reconnecting in the near future, as our careers and adventures evolve. Ready to get your ideas focused?